Get in on the conversation. RSVP today. To mark the two-year anniversary of Cisco's intent to acquire AppDynamics, we're hosting a virtual event to share the exciting details about the next chapter in the AppDynamics and Cisco story. Join David Wadhwani, CEO of AppDynamics, Cisco executives, and industry thought leaders as we discuss the future of performance monitoring, AI, and what it means for the enterprise. Register for reminders about this exclusive event. Join us to learn, share and be inspired by AppD customers who are driving transformation in their industries, businesses and careers. Get your questions answered by our product experts, understand our vision and roadmap, and reimagine what you can do for your business with AppDynamics. Check out the AppD Global Tour highlight video. Get ready for an action packed day of inspiration, breakouts, networking and fun. See how leading enterprises use real-time application and business performance metrics to transform the way they deliver amazing customer experiences at scale. Meet operations professionals, developers, and business leaders who are pioneering new methods of architecting, delivering, and servicing mission-critical applications. Learn how AppDynamics is transforming the way modern businesses are built and run, providing automated, cross-stack intelligence to drive new opportunities for agents of transformation, reduce risk, and drive better business outcomes. Technology leaders weigh in on the impact of AI on performance monitoring. 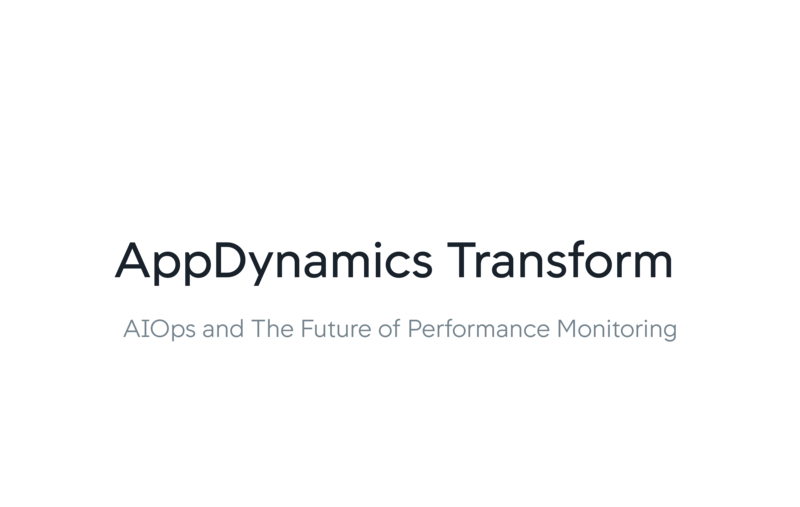 A one-of-a-kind virtual event hosted by AppDynamics and Cisco. This is a virtual event. Get a reminder to access this live event from anywhere. The world's technology leaders weigh in on the role of AIOps in the enterprise.